Hong Kong is not all shimmer, shopping, the confrontational boxy structures in ‘I am taller than you mode’ but flip through the images and there is another side, unadorned and unperturbed. 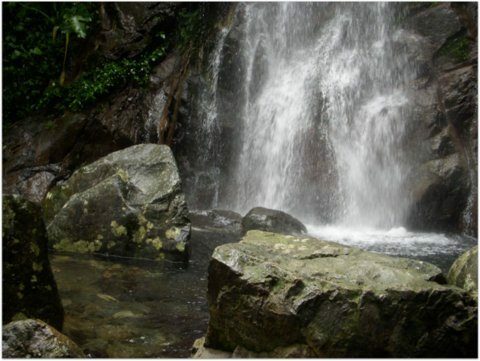 Ng Tung Chai waterfalls: Scrunched between bare rocks and tropical vegetation of the northern slopes of the cone-shaped Tai Mo Shan are the Ng Tung Chai waterfalls at 957 m. The Tai Mo Shan mountain, intimidating from a distance, dominates the Kowloon landscape and crowning glory of The Tai Mo Shan Country Park. 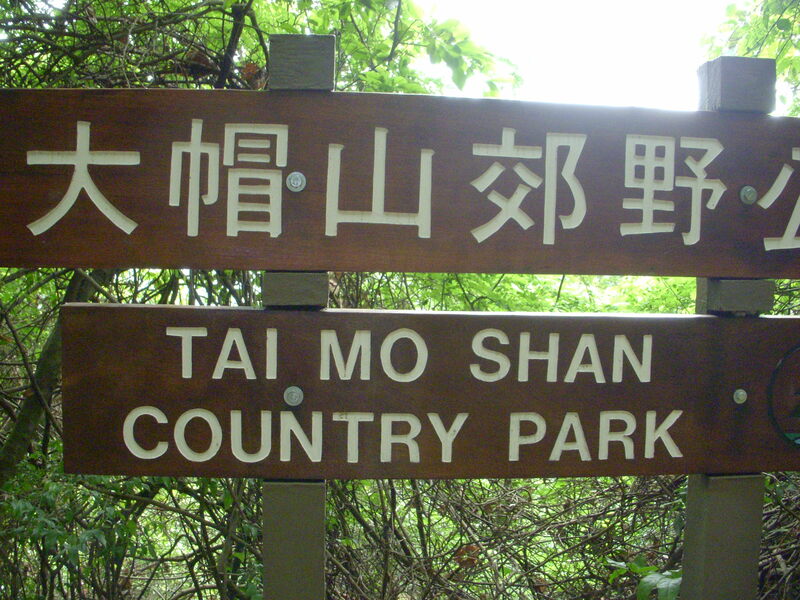 The Park is spread over an area 14.40 km around the mountain and north to Tai Lam Country Park. 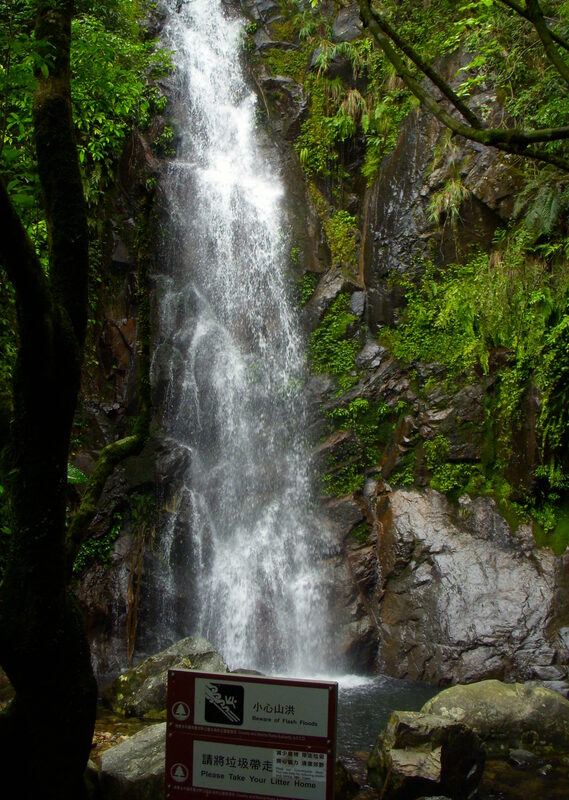 The Park hosts or boasts of Ng Tung Chai Waterfalls. The spectacular ‘Main Fall’ is the highest waterfall in the cascade of falls spread over several kilometres’.. 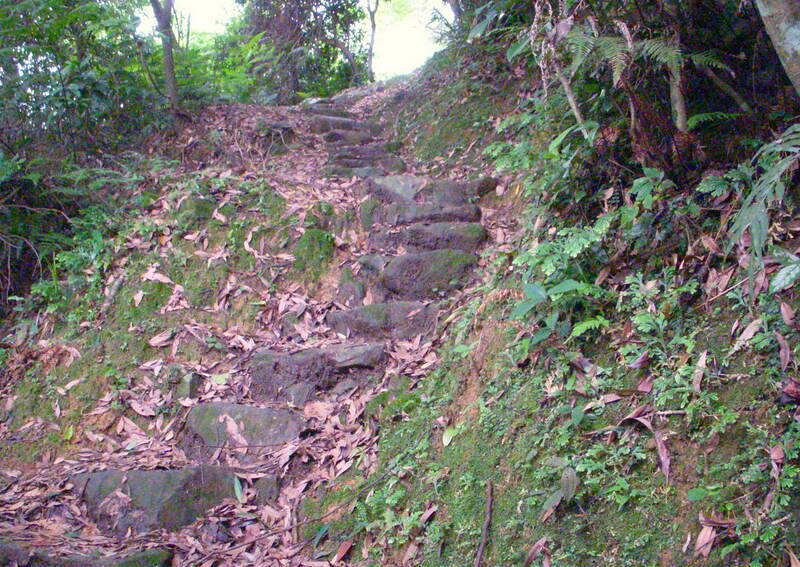 The Ng Tung Chai trail is not exactly for beginners but certainly falls in the assessable hikes category, reachable with least effort. 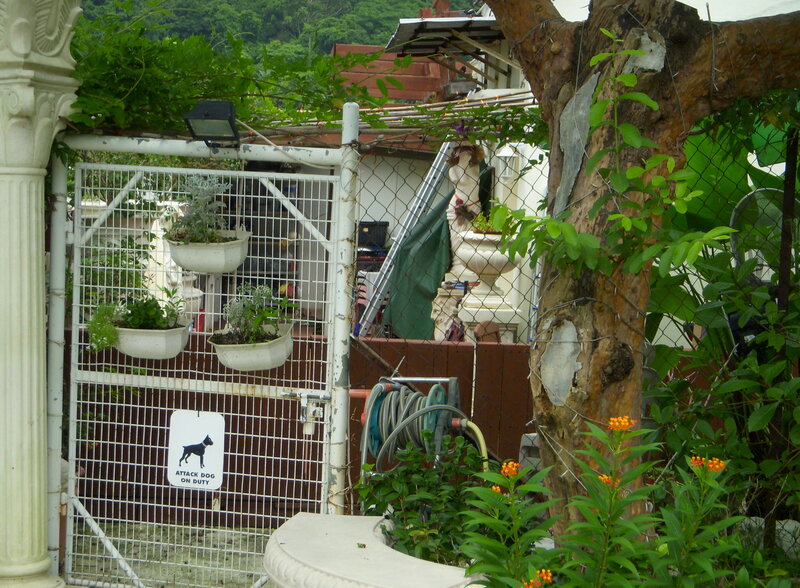 We, a friend and me, decided to test our resilience and took the paved pathway past rural villages through the Man Tak Yuen gateway up to the secluded Monastery guarded by contingent of dogs, past Kadoorie Farm and Botanical Garden into a world far away from the city. It was unbelievable that this too is Hong Kong. From here the test begins as we manoeuvred our way on the pebbly and slippery path, at times holding onto each other. The inconvenience of balancing is forgotten in the cool solitude of the foresty ambience punctuated by bird calls and gurgling sound of hidden streams. The mini waterfall near the Monastery is a numbing prelude to the tough climb ahead giving way to meandering, slippery stone and gravel steps flanked on one side by moss and lichen sprayed grassy slopes and on the other side, a sheer drop. At some places the path is just two feet wide and any mis-step and you are at the mercy of branches and roots. 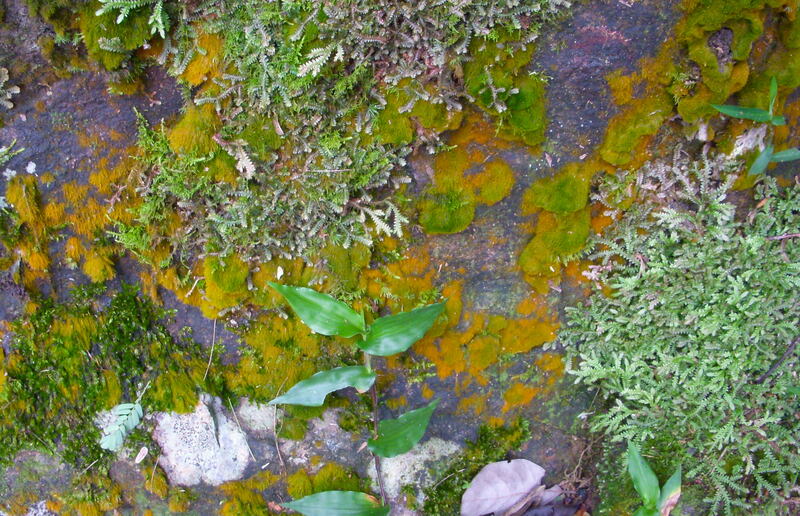 It is humid, early June, and we continue to trudge along fortified by sips of water, pecans, dried cranberries and wafts of leafy breeze and chance to admire the natural rock art presentations. There are other minor diversions ….colourful peppy butterflies, mini temples shaded by boulders and accompanying hum of water. 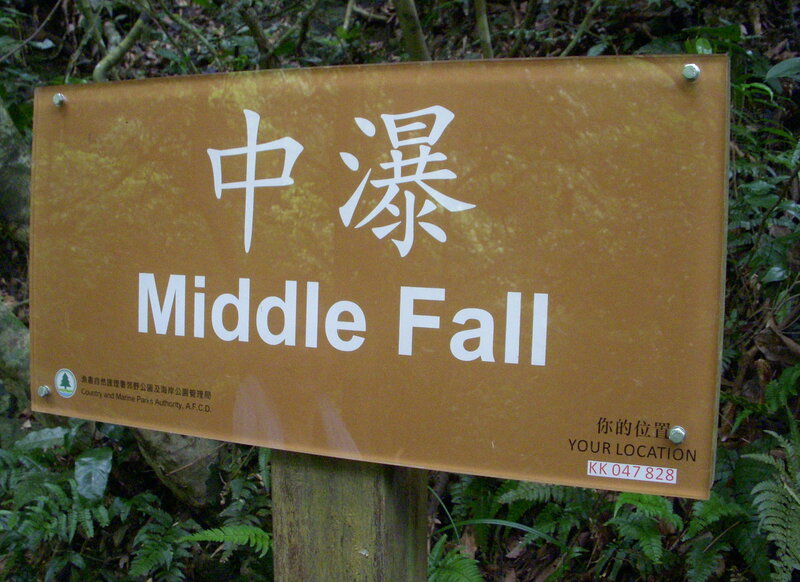 Finally, there is some signage to show that we are close to our destination; the three Ng Tung Chai Waterfalls – the Bottom falls, the Middle and the Main Falls. The fourth fall, the Scattered Falls, was at one time linked to the Main fall but a landslide had cut off the link…..though one can still hike to it. The Middle Fall route appeared the logical choice, not to easy and not to strenuous, and ignoring the steps leading down to the Bottom Falls, we continued on another twenty minutes climb to be rewarded with a view of gushing waters cascading 50 ft down the cliff-face into an amphitheater of boulders. This is the Middle Fall or the “Horse Tail Fall” collecting into a mini pool to disappear into the gorge down below. Tiredness forgotten and it was off with our shoes and into the freezing water, few steps at a time, because of the slippery surface, taking in the freshness of the surroundings. It was worth the effort as we had the watery haven to ourselves till more trekkers appeared. They were on way to the Main Fall. The Middle and Bottom Falls are side attractions compared with the Main Fall or “Long Fall“, the highest waterfall in Hong Kong at more than 100 ft. Our legs had a different take on the situation…they refused to climb up the trail that appeared steeper to the one we had negotiated earlier. It had taken us nearly 2 hours to reach this far and the idea of adding extra zigzagging steps to the return journey was slightly disconcerting. On mutual consent we decided to track back to the village through the farms and open land, sound proof except for stray barking of dogs. There was no one around, lunch time, we carried on with our excursion deciding to catch the bus for Fong Ma Po village on Lam Kam Road for a look at the Wishing Tree. 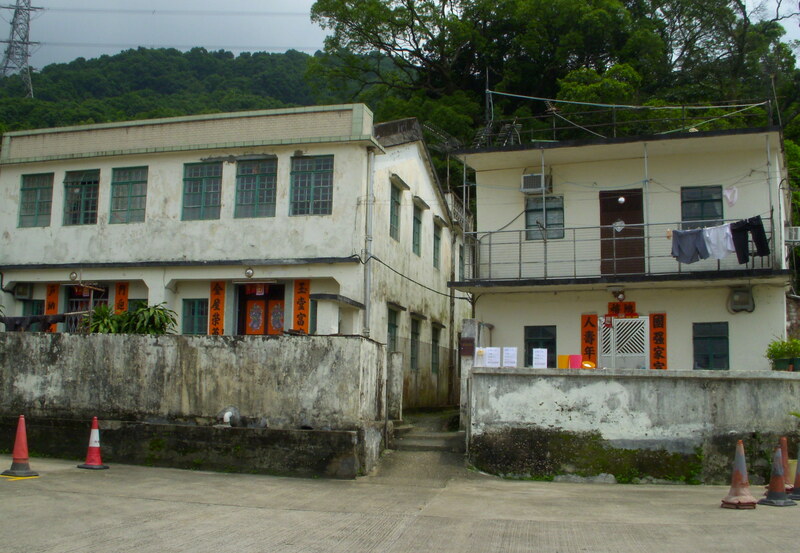 Lam Tsuen, a 700 year old residential village in Tai Po, dates its ancestry to the Southern Song Dynasty (1127-1279). 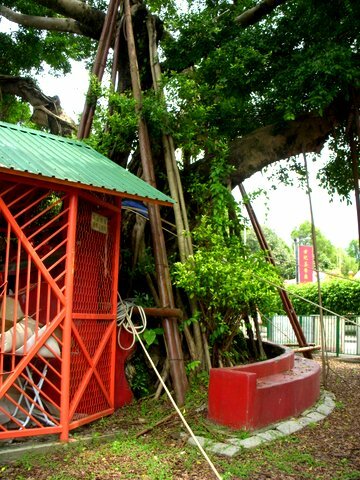 Tourists and believers trudge to the village for the Tin Hau Temple and the two ‘wishing trees’. We too went for this reason and it was a disappointment as the Tree was propped up, being rehabilitated, and has a wishing board as substitute. 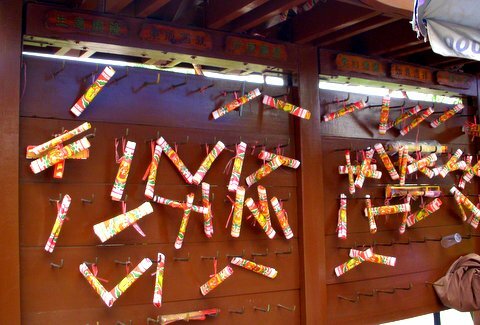 In the past villagers would throw joss paper into the two trees while wishing. The believe that the higher the branch it landed on more likely for their wish to come true. No wonder the tree must have felt burdened with the paper weight and hence the board. $20 for two pre-written wishes..all it takes to feel good. How to get there: Minibus 25K from Tai Po Market East Rail station or take cab from Tai Wo East Rail station to Ng Tung Chai village, Lam Kam Road. What a contrast to the urban chaos of HK city! 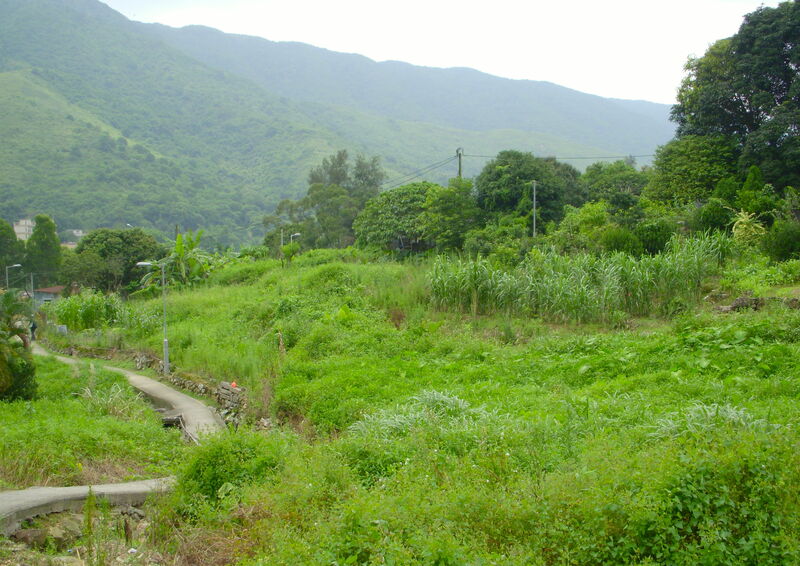 You must look forward to getting out on these lovely treks.